In the first of two articles on seed research and development, Barenbrug UK’s Dr David Greenshields, who presented at last year’s Australasian Turfgrass Conference in Wellington, examines the detailed process that goes into bringing a new cultivar to market. Barenbrug is a global grass breeder which produces a range of seed varieties for a wide number of applications, including sports turf. Developing these varieties is a long and exhaustive process and invariably it can take anywhere up to 15 years (and longer) to bring a new grass cultivar to the market. This article will examine that process and we will highlight the stages of the process and the many considerations that go into ultimately selecting what is hoped will be the best variety for the end user. For the purposes of illustrating some of the stages, we will use our recently released perennial ryegrass variety Barolympic as an example. Year 16 –Registration and certified production: Once registered seed is sown for harvest and commercial use. The first seven years of a variety’s development involve traditional plant breeding techniques. 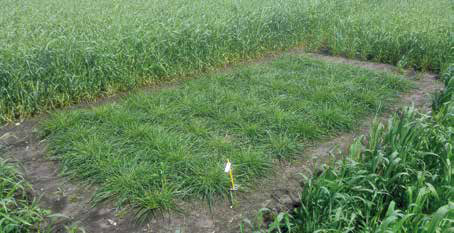 In years 1-3 initial crosses are made, typically between plants of an existing cultivar and plants isolated from the wild or a particular environment of interest (e.g. : high wear, drought). The breeder will have a broad goal at this stage – perhaps to improve seed yield whilst retaining the turf quality of the existing variety, for example. Years 1-3 are often the ‘discovery’ phase when dealing with materials collected from the wild. It’s the ‘What do I have? phase before the breeders will ask themselves ‘How do I intend to cross things and what do I intend to make?’ Incidentally, the actual initial cross is not as important as some might think, rather it is the selection process to come that delivers the end result. Years 4-6 involve the laborious, yet critical, selection process of the original cross progeny. From the original cross you are looking at somewhere in the vicinity of 10,000 progenies with the next step to whittle that down to about 500. Breeders will sow out one seed/one plant in a large nursery and have a look at what the individual plants look like. Left unmown, the plants are scrutinised for a broad range of characteristics, removing those with weaknesses to disease, heat, cold etc. as well as those that are too open in growth habit. Only the very best are selected to continue on the journey. After initial selection, the individual plants that make it through are then planted out again in a turf trial situation. The plants are mown at around 20mm and basic aspects such as turf quality, density, fineness, disease tolerance and persistence start to be examined. Seed yield will also start to come into the equation as well (typically the finer and denser varieties having lower yield potential). From the initial 10,000 plants, by the end of this three-year selection process there may be as few as a dozen plants remaining. Interestingly enough, the gain due to selection increases the stronger you get with your selection. For example, if you keep the best 5 per cent, you make a little bit of genetic gain, but if you keep the best 1 per cent you actually make more genetic gain. Year 7 is when it starts to get a little more interesting, with the surviving plants grouped together based on similarities. They are first cloned and then planted out (typically in groups of six clones) and assessed for yield, heading date, fineness, colour etc. and then grouped together in similar profiles. These are then isolated from the others (they are planted in maize fields) and allowed to cross-pollinate within their group. The resulting ‘synthetic line’ is the basis for a new cultivar. It is important to remember that a cultivar always exists as a population of genetically different individuals that are very similar (but not identical) to one another. The process of isolation at the breeding stage is the foundation of this fact. It is an exhaustive process to get to this stage and after seven years work only 500g of Barolympic existed at this point. A scary thought for business managers no doubt! 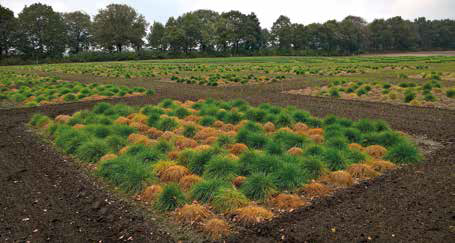 In years 8-10, new synthetic lines are tested in a turf situation by the breeding department against other elite lines and existing cultivars from Barenbrug’s and competitors’ global breeding programmes to determine whether it is good enough to go to market. This will happen at multiple locations depending on the target markets for the breeding material in question. For perennial ryegrass, synthetic lines will be tested under simulated wear/traffic and at a low mowing height (10mm normally) as two basic stress factors. A breeder may also wish to include a range of other trials or laboratory testing at this stage, for example tolerance to a particular turfgrass disease. Results of performance testing are presented to product development teams in target markets and a decision is taken on which synthetic lines to multiply up to become a cultivar. The multiplication (year 11) is a vital and costly process, forming what is called a ‘breeder’s seed’ stock, which will be used as the foundation for commercial production in the future. Around 5000 plants are sown in a 1000m2 plot to produce 100kg of breeder’s seed stock. It is imperative to ensure absolute seed purity at this stage. It is important to note that those varieties that don’t get chosen don’t just end up in the bin. While some might, others will be reintegrated into future programmes, they might be selected from again to improve the variety or used as a back cross to something else. In years 12-15 and beyond, cultivars are submitted to official trials across the globe, depending on their target markets. ANTEP in Australia, NTEP in USA and BSPB/STRI in the UK are well-known examples of these trialling systems. 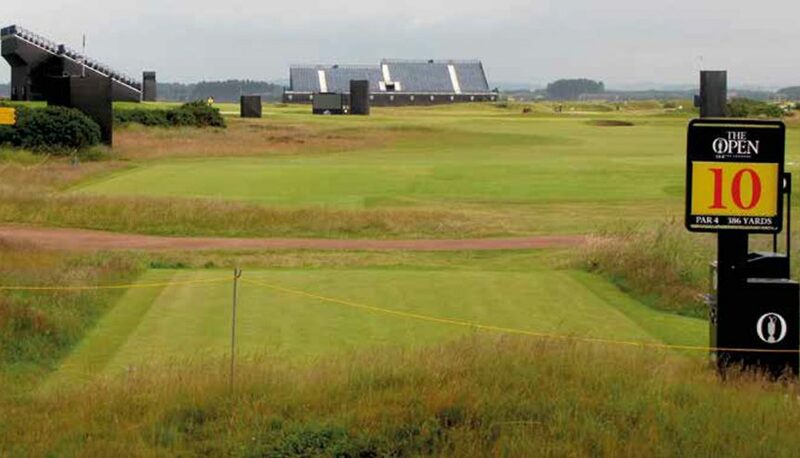 Cultivars are assessed independently for a variety of turfgrass traits according to particular turf usage parameters. In the BSPB/STRI trialling system for example, a perennial ryegrass can be assessed at 25mm height of cut under wear simulation for winter sports (soccer, rugby), at 10mm mowing height for lawn applications and at 5mm mowing for (golf) greens or cricket. The BSPB/STRI trials are conducted for one or two years and a cultivar needs to be analysed across at least two trial periods for an official published listing. In parallel, it is necessary for a cultivar to be examined under legislative protocols to ensure it is eligible for sale. Stability – must not revert to parental wild-type. Once this process is completed, companies will then be asked to name the cultivar. As official trials are progressing, Barenbrug also strives to undertake significant product development and R&D on a local level in the global marketplace to ensure that new cultivars are integrated into product lines effectively. Product development encompasses a range of processes, such as mixture synergy trials (the combined performance of species and cultivars) or looking closely at the intraspecific traits that a new cultivar delivers, and how best to match these with end-user requirements in particular markets. Among some of the in-house trial work Barenbrug conducts relates to wear, colour, drought tolerance, salinity germination, cold-temperature germination, shade and disease tolerance. Once a cultivar has been through official trials, certified seed production can start. First, breeder’s seed has to be multiplied to produce ‘pre-basic’ seed, which then goes on to ‘basic seed’ after another harvest. In the case of Barolympic, five tonnes of pre-basic seed were produced with one tonne of it stored to produce more basic seed if required down the line. The basic seed is then supplied to farmers to sow resulting in certified seed production, which is the grade of seed sold to end-users. At all stages, it is imperative to remove off-types to maintain a cultivar’s integral purity. In the case of Barolympic, in Autumn 2013 two 11ha sites in the UK were sown at 10kg/ha with yields the following year of 750kg/ha and 850kg/ha (approx. 17 tonnes). Finally, after some 15-plus years, the seed is finally available for turfgrass managers to put into action. The amount to work to get it to this stage is significant and to therefore see the variety being used in world class facilities is the ultimate accolade for the breeders, researchers, production staff and the marketing and sales teams. 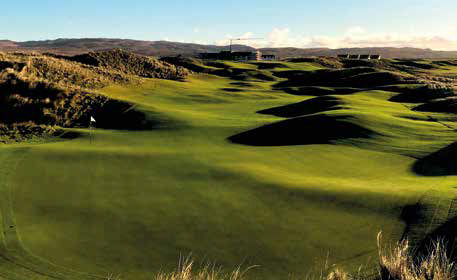 Incorporated into surrounds and fairways at The Machrie Golf Links, UK. In conclusion, the ‘story of grass’ is a long and varied one. It takes a wide scope of work over more than 15 years across many departments on a global scale to deliver a new cultivar of turfgrass to the market. The breeding process and the production of new cultivars is literally at the root (and shoot!) of driving the turfgrass industry forward with the expertise of turfgrass managers around the globe. Improvements in wear tolerance, disease resistance and fineness of leaf of new breeding material are just a few aspects that make game day a reality for grounds managers, players and fans alike. Dr David Greenshields has been with Barenbrug UK for the past 10.5 years and has held a range of positions including his current role of amenity product manager. He has PhD in Plant Genetics from the University of Edinburgh. Follow him on Twitter @Barenbrug_DG.